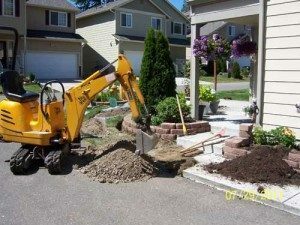 Correlation of Water Lines in Bonney Lake – Why Choose Us? Water mains can develop leaks with no visible evidence or signs of damage. If left undetected, water main leaks can slowly damage foundations and ultimately cause significant damage to your home or commercial property. You might only be aware of a leak after experiencing a sudden rise in your water bill. We utilize non-invasive, digital leak detection system to identify and locate your water leak. 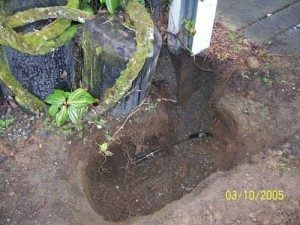 At Clearwater Leak Detection, we help our clients detect main water leaks with correlation of water lines in Bonney Lake, WA. Correlation of water lines is leak detection method used to identify leaks in pressurized water lines. This digital leak detection system enables us to pinpoint the exact distance of leaks in residential and commercial water lines. By using our state-of-the-art water leak detection system, we help our clients minimize disruption to their property, saving time and money. When is Water Line Correlation Used on Bonney Lake Property? Correlation of water lines is a leak detection technique which involves two sensors attached to the pipe on either side of the leak point. Our specialist can then calculate the distance of the water leak according to the speed of sound. Let us help you pinpoint the exact location of leaks in your water mains with correlation of water lines in Bonney Lake. How Does a Digital Leak Detection System Work in Bonney Lake? The digital leak detection system uses two microphones that listen for the sound of water to determine the distance of the leak. We ensure accurate and reliable leak detection results using this digital leak detection system in Bonney Lake homes and businesses. For more information on our digital leak detection system for Bonney Lake residential and commercial water lines, call Clearwater Leak Detection at 206-686-9300.